The inaugural HLTH 2018 event galvanized the trailblazers from across the health ecosystem, who are stepping out of their healthcare bubbles and stepping up to champion health transformations that will reorient the industry towards more systemic and meaningful health strategies and solutions. By designing collaborative exchanges amongst action-oriented innovators, HLTH afforded the opportunity to broaden the scope of understanding, to reframe what constitutes “health” “care”, and to reformulate how to meet the health needs of consumers across their spectrum of “un” health to “well” health. Four days of HLTH, thousands of discussions and discoveries unleashed, and volumes of opportunities to make sweeping changes to revolutionize health. Why? Because “HLTH Matters”! At every stage of life, our health matters. Our physical health, emotional and behavioral health, spiritual, social – and even financial health – it all matters. Health matters to us each personally. It matters to our work, our colleagues, companies and stakeholders. To our families, our neighbors and our friends. To our neighborhoods, our cities and our country. HLTH matters. 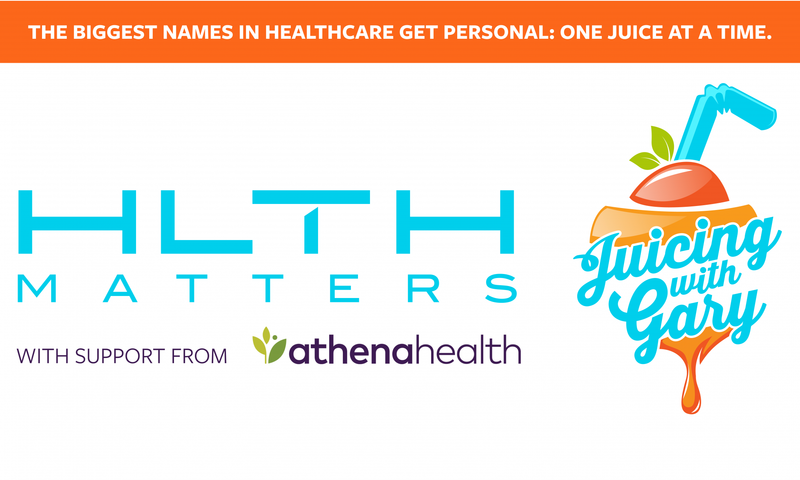 To aid in the momentum of the forces set in motion at the HLTH 2018 event, HLTH has created a weekly video series, HLTH Matters; Juicing with Gary, which will explore, discover and learn from today’s courageous, innovative and committed instigators of health advancements. The mission of HLTH Matters is to reveal the extraordinary personal stories of those who have the experience, knowledge, passion and solutions on how to improve health for all. Their stories will inspire others to join them in making it possible for every individual to live their best (and healthiest) lives. These harbingers of health share a well-mixed message of hope, encouragement and inspiration that appeals for improvements in the physical and financial well-being of individuals, families, companies, and communities struggling under the current, broken health industry. To set the stage for healthy conversations with our show’s guests, HLTH will be mixing up a ton of healthy juice recipes inspired and created by the personalities you’ll meet. We invite you to listen in (and lean in) to our HLTH Matters video series – one conversation at a time. Why? Because HLTH Matters! 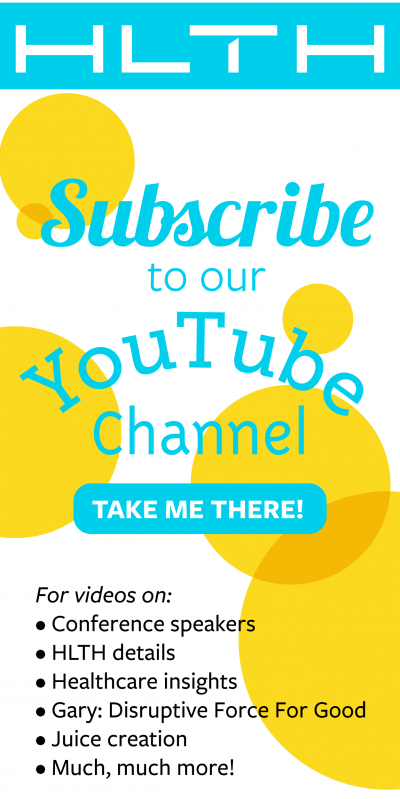 Watch the first interview in the series, with Dr. Amy Abernethy of Flatiron Health, now on YouTube. HLTH is a new, large-scale, industry event that is creating a much needed dialogue focused on disruptive innovation across the healthcare ecosystem.